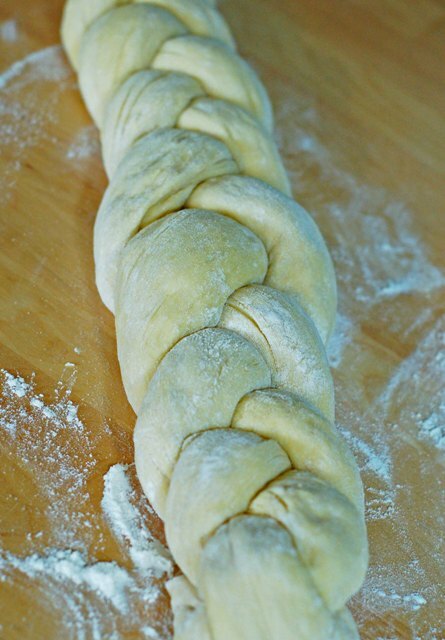 Challah also known as hallah or challot is a traditional braided bread eaten during Sabbath and other Jewish holidays. Jewish tradition, Sabbath and holiday meals begin with a blessing over four loaves of bread, two on Friday night and two on Saturday afternoon. For week five of the Bread Bakers Apprentice Challenge, we made Challah. I love Challah and always look forward to the holiday season, when I can find it in our neighborhood bakery. Now, I am happy to say, I do not have to wait any longer. 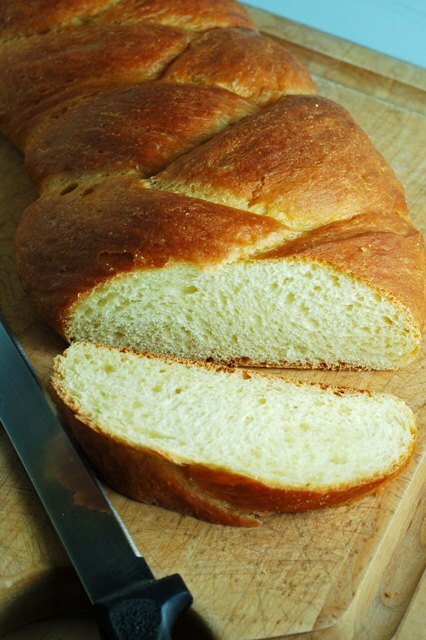 This challenge was incredibly easy and I have to say I was very impressed with how well I did (I kept yelling to Lenny to come see the “Challah”) and how the bread came out. I started the bread late in the afternoon and by bed time we had fresh baked bread for our breakfast. The recipe was very easy to follow and everything happened just as stated in the recipe, from resting times to baking times. The Challah came out golden in color, light in texture and very flavorful, not too yeasty or eggy, just perfect. Besides eating Challah by itself, it is my choice of bread for French Toast as well as bread pudding. It soaks up the egg batter perfectly. The morning after making the Challah we used some of it to make a golden blueberry French toast and saved the rest (as we are traveling) to make bread pudding later on. 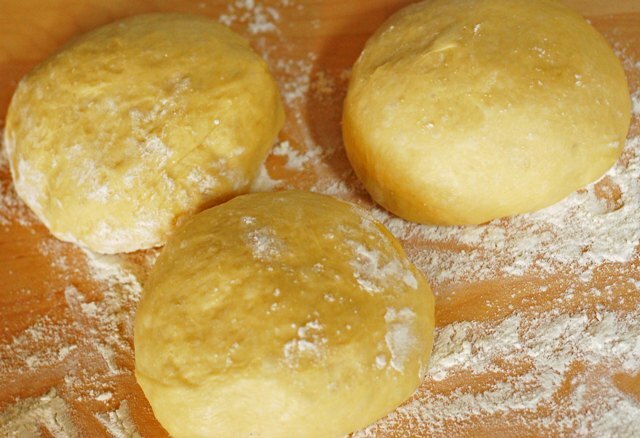 13 Responses to "BBA Challenge: How to make Challah"
oh what a tease. i could do with this now! the french toast looks divine! Great idea to make french toast using Challah. I bake Challah quite often but after 2 days there's Challah left that start to get a bit stale. Never thought about using it for this nice breakfast treat. Gorgeous Challah, Denise! The french toast with blueberries sounds like a breakfast I'd love to indulge in. Your braid is beautiful! That's the funnest part of making challah, I think. 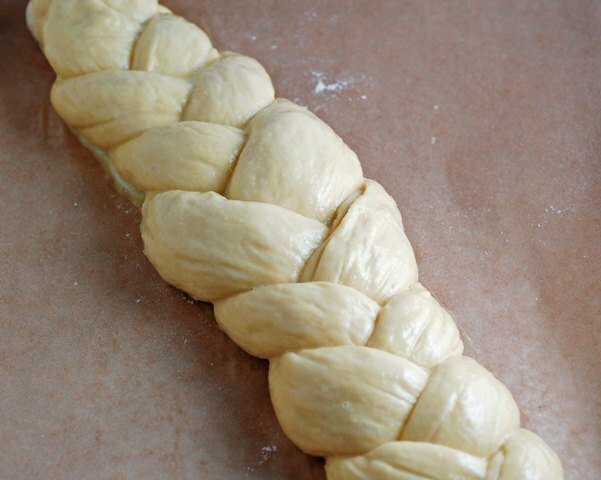 Your Challah looks beautiful & your pics are simply delicious! This was by far my favorite bread in the #bba! We also made French toast & it was divine! I never was a fan of French toast until I made it with Challah. Now I'm hooked. Yours looks golden delicious! Using it in bread pudding is a fantastic idea too. I have absolutely loved the challah. Great flavor and texture, beautiful burnished crust. I am contemplating making another batch into sandwich buns and freezing them. I think it would be the perfect sturdy bread for a burger. Enriched with eggs, slighty sweet, so good. Your pictures are wonderful.